I’m not really satisfied with the result but it was a good practice, anyway I learned a lot on this project and particularly Hair creation. I started my model in 3dsmax, using a plane and extruded edges to get the shape I wanted with the help of image references from the manga. The head doesn’t get the best topology in the world, I still have to learn and practice this part. 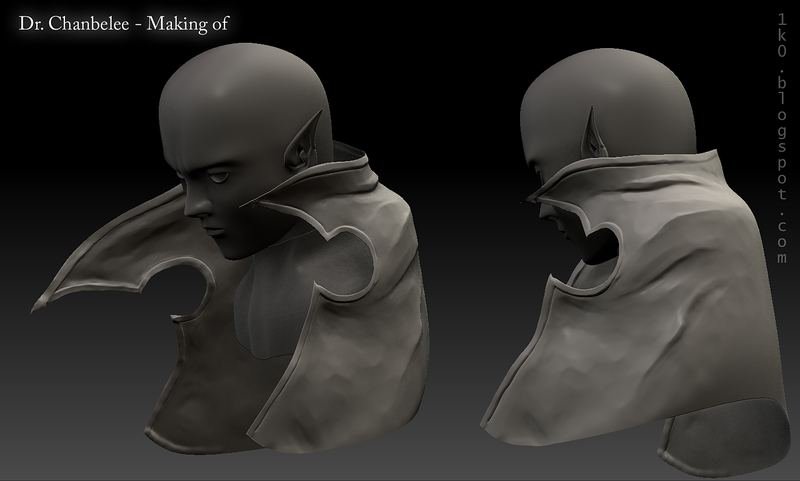 Then I exported my 2 principal meshes to add details in Zbrush. 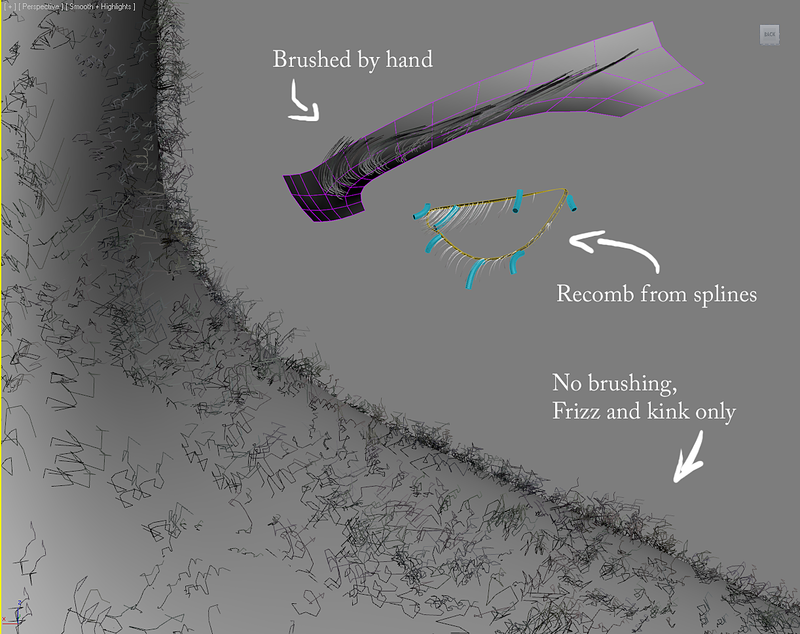 Back in Max I created splines cage for hair and used Hair farm to generate them. I used realistic hair material and a 2 lights rig, standard lights at the same position as photometric area lights I used to render the beauty pass in Mental Ray. As said earlier, I preferred keep my old render of Hair&fur for the sweater, eyebrows and eyelashes, brushing fur is way more comfortable in Hair&fur. Maps used for the head SSS shader. 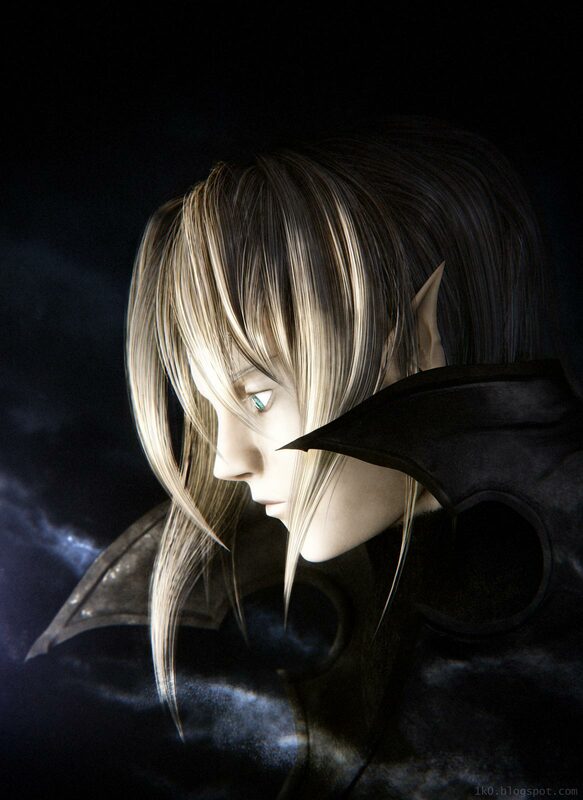 Hopefully I was able to achieve Zdepth with hair the old school way. Once all passes have been computed I went to After Effects to mix all these images and compose them. Background is made of different cloud pictures I took this summer and custom brushes paint in photoshop. This project took too much time to be done, (working on it on week-ends only) I had so many problems with hair&fur renders. Without Hair Farm I think my MR prime hair render would still be going on, I stopped it at 43%, 125 hours after render started… I hope you’ll enjoy this image.